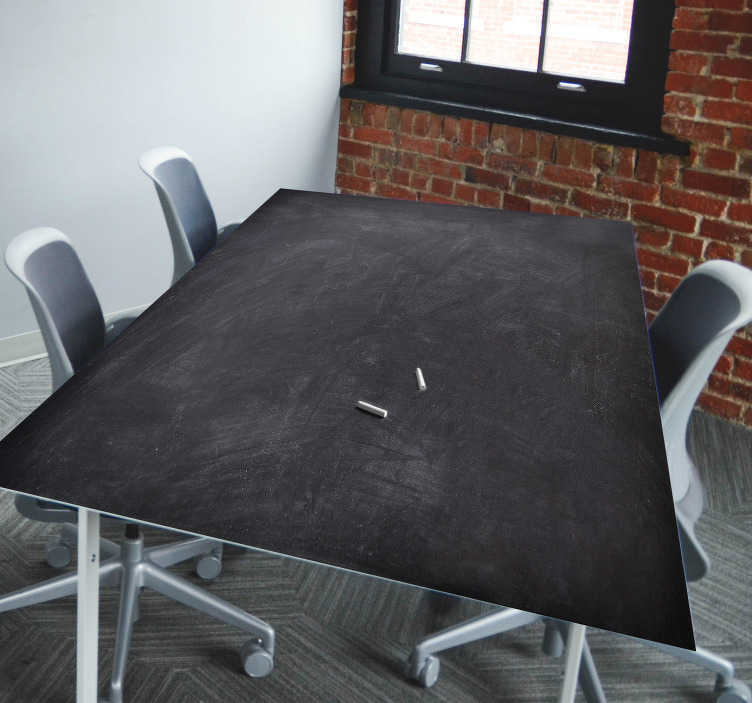 A fantastic chalkboard table sticker, perfect for tables in meeting rooms if you need something to write on while you are discussing something with your team! Ideal business stickers for those who wish to decorate their meeting room table with something extremely useful yet also great looking! Chalk is included with the sticker so that you are ready to go immediately! What are you waiting for? Choose your size and buy now!